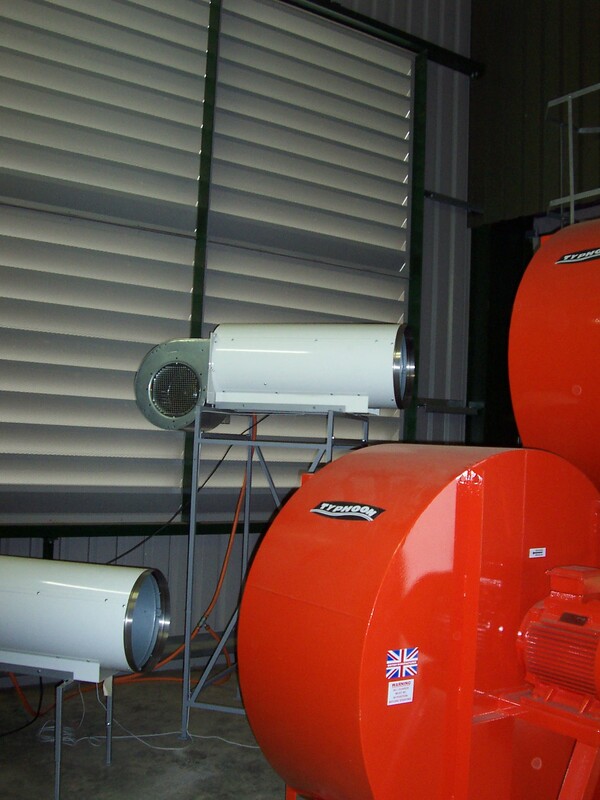 bennettma, Author at Bennett & Co Ltd.
We have not just been involved with grain or onion drying down the years but have also had experience in designing and building a wood drying kiln as well as drying herbs. Projects such as these have energy efficiency as their focus utilising insulation, heat recirculation, heat exchangers and high efficiency gas burners as well as looking at alternative energy sources. 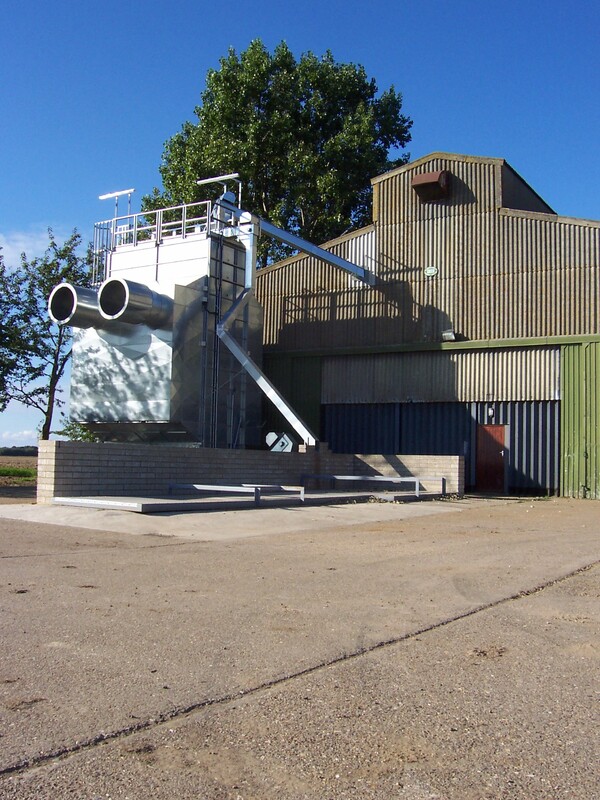 With the growth in the number of Anaerobic Digestion (AD) projects there is an increasing need for drying the digestate from the AD plant for use either as a source of fertiliser or fuel for biomass heating. 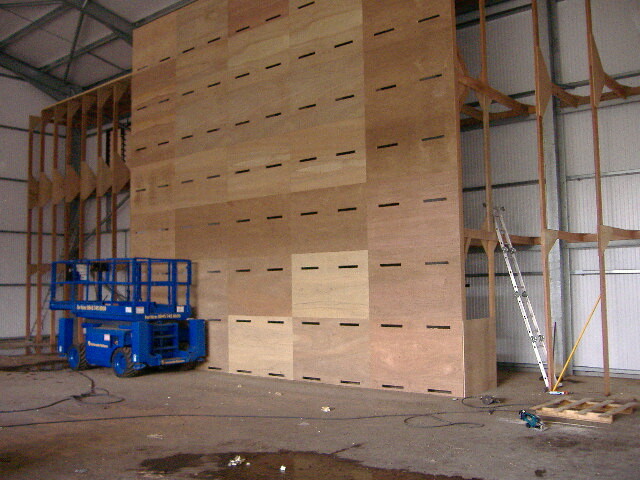 The dried solid matter is easier to transport to where it is needed and this also utilises the heat from the AD plant. 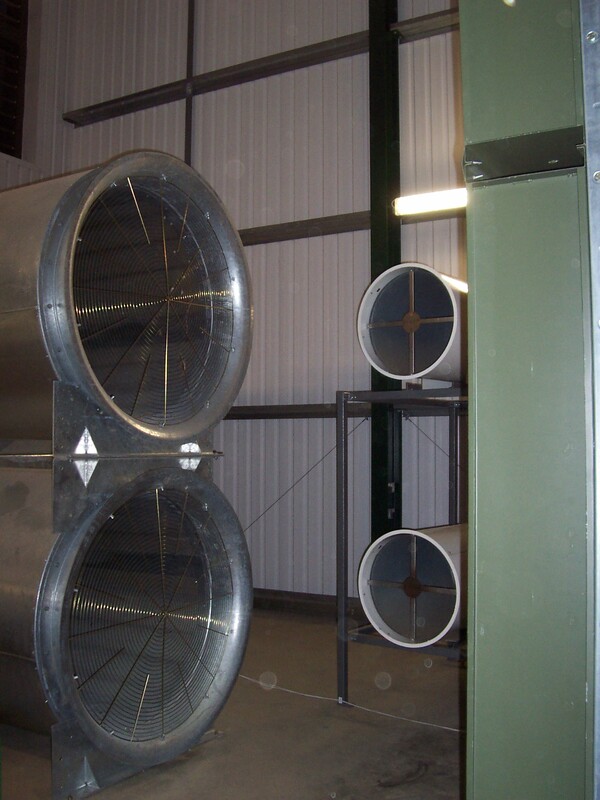 We can offer digestate driers and allied conveying and processing equipment such as pelleters. 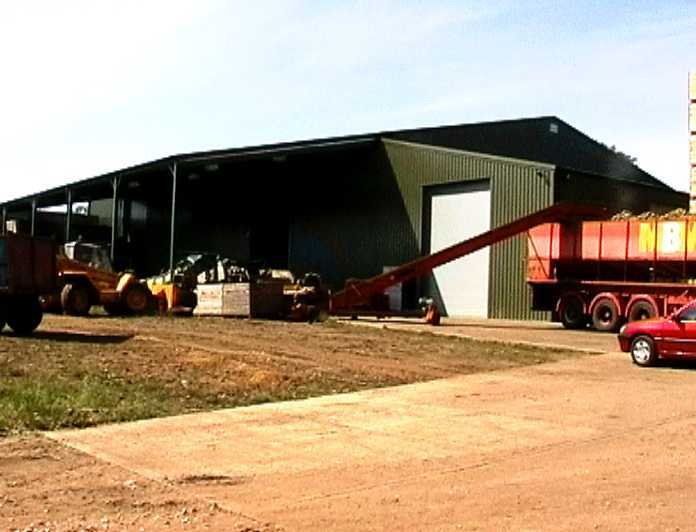 With buildings in the yard at Park Farm becoming homes for a number of different businesses, it was necessary for Tharros Ltd to build another grain store at the “farm” end of the site. 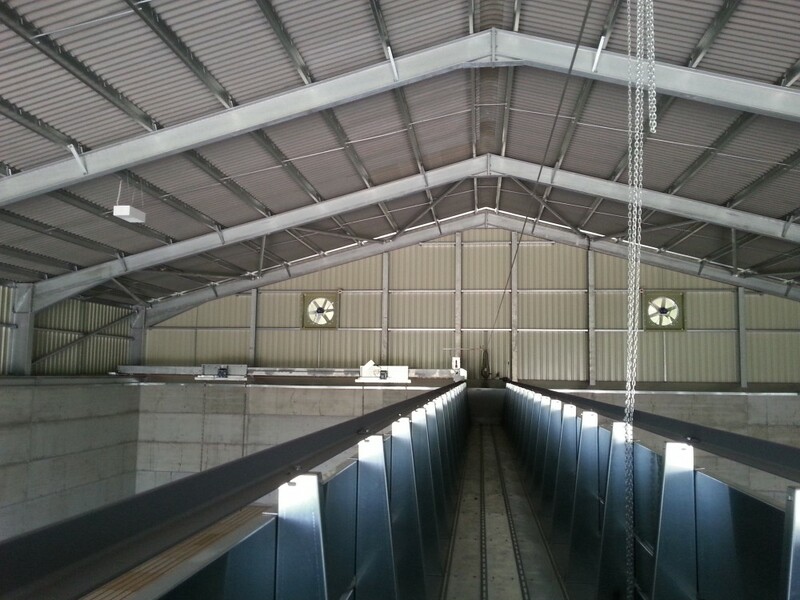 It was decided to build a 2000 tonne on floor bulk grain store with a Pellcroft central steel main air duct and Challow timber drying floor. There was a need to take into account the varying crop types and quantities so a doorway was included in the rear gable of the building and a movable wooden panel crop divider to allow one side to be divided either half and half or one third and two thirds. 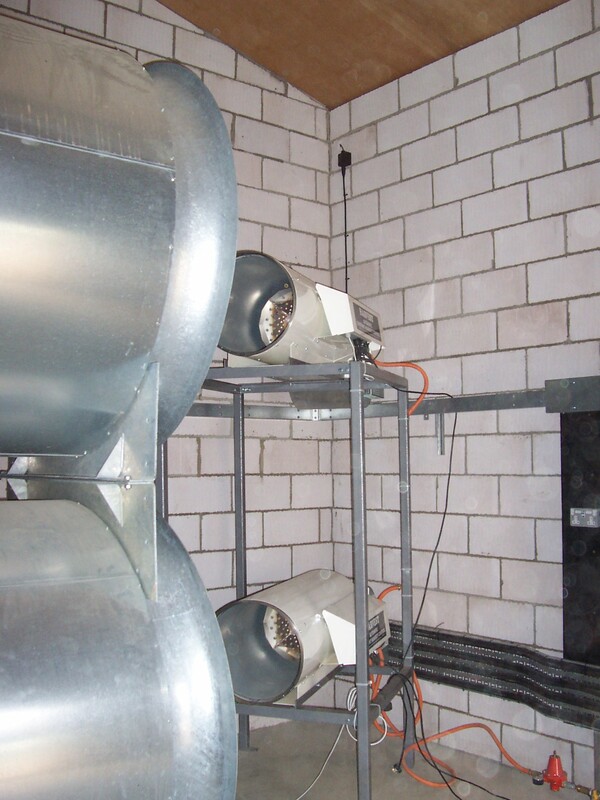 Nearby there are residential properties which required the large axial fan unit to be silenced by building a concrete block fan house consisting of insulated cavity walls and insulation lining in the roof. 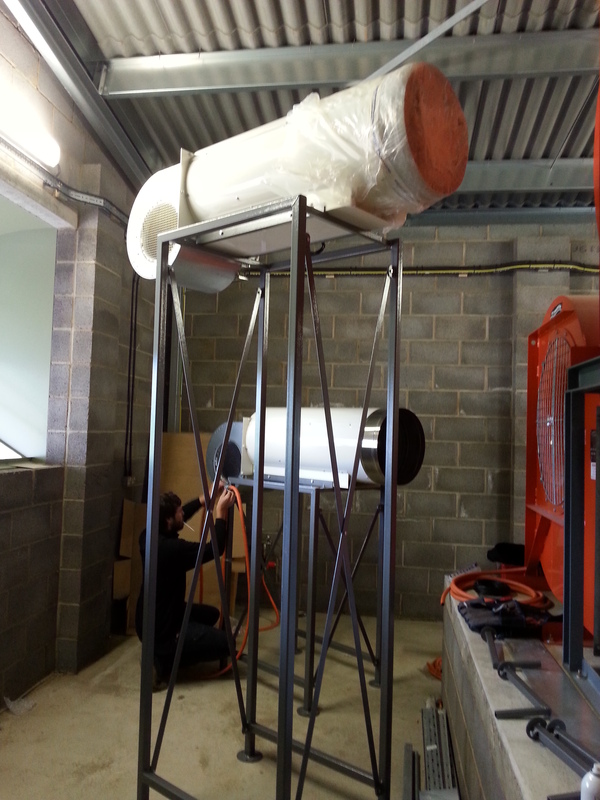 A box splitter attenuator was installed on the intake to reduce the noise to the required level. The project also gave the opportunity to install a large new electrical supply and remove overhead cables across the yard. 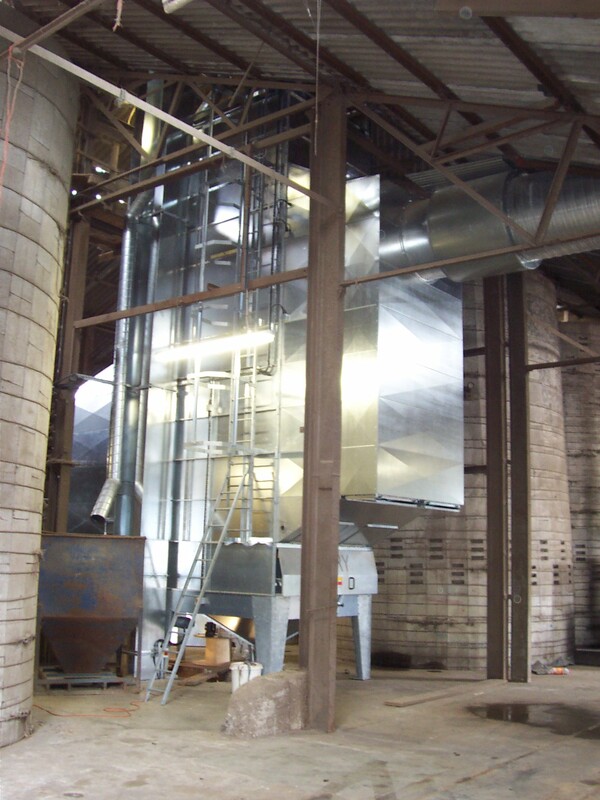 When Harvest Installations produced their Constant Humidity Controller modulating gas burner (or the CHC as it is generally known) over 30 years ago, it brought about a revolution in near ambient drying of grain in bulk on-floor stores. 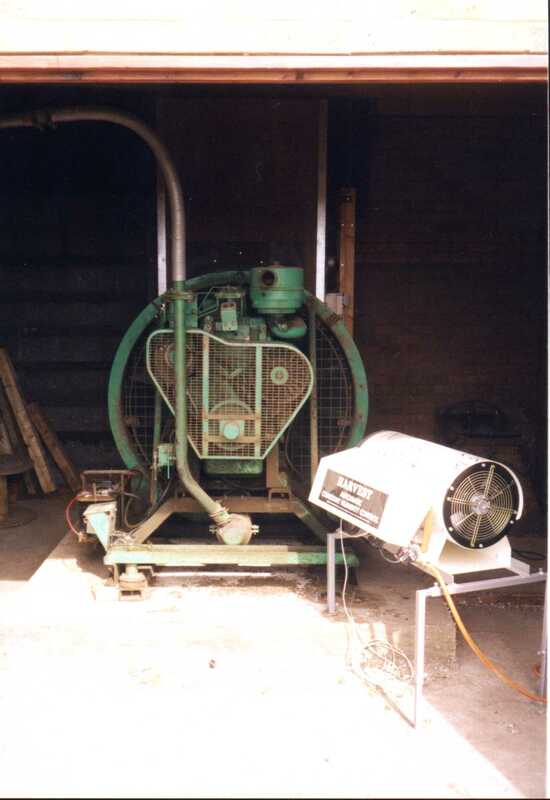 The advent of the humidistat some years earlier, although taking the work out of manually switching drying fans on and off, did not allow grain to be dried 24/7. Setting the CHC to a target relative humidity related to its equilibrium moisture content of the crop being dried allows drying to commence as soon as sufficient crop is in the store. 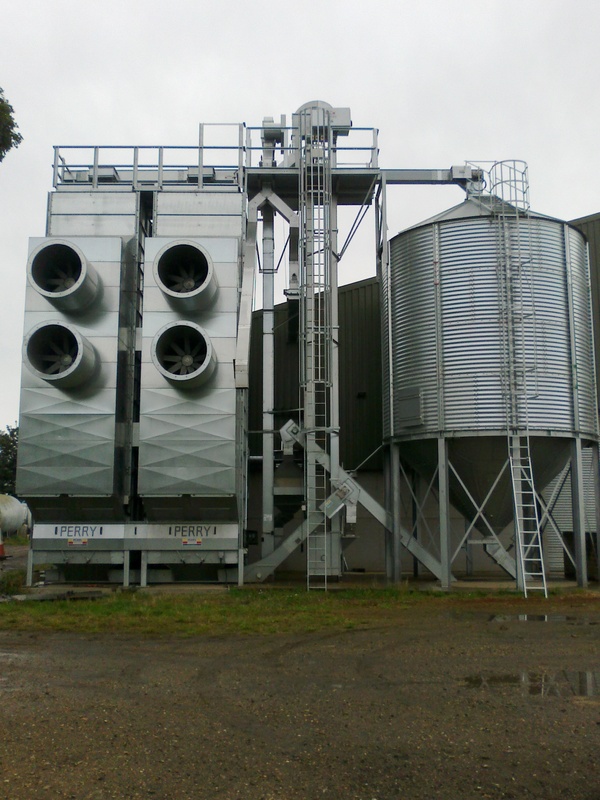 This then enables the drying to be completed before wetter and cooler weather sets in, meaning that savings in electricity costs are realised, more than off-setting the cost of the gas. We recommend the CHC based on nearly 30 years of supplying and servicing them. Drying without a CHC can mean running those fans until almost Christmas. Using a non-modulatory burner/heater can mean the problem of overdrying at the bottom of the stack and a crust forming on the top. Whatever problems you have drying in your grain store give Mike a call. He would be pleased to help and advise. The increased size of many projects mean that planning applications may be determined under major development rules taking thirteen weeks rather than eight weeks. Bennett and Co advise clients to get started early in looking at these projects. 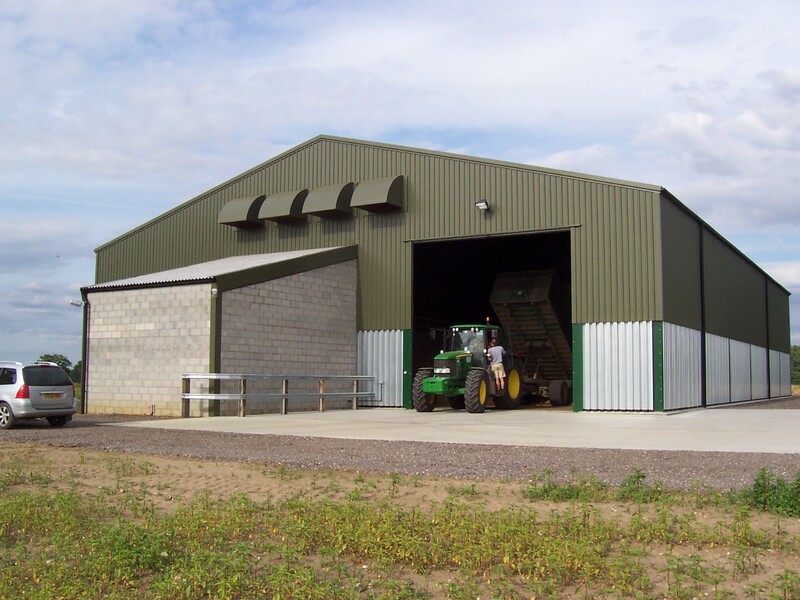 Whether it’s new ‘green field’ sites or improvement of existing facilities, Bennett & Co are capable of dealing with detailed planning issues with local authorities, environmental and safety problems associated with demolition, designing solutions to alleviate potential noise nuisance, piling and complex foundations, as well as designing for drying and storing the crop to the client’s brief and providing health and safety planning within the Construction Design and Management Regulations 2015. 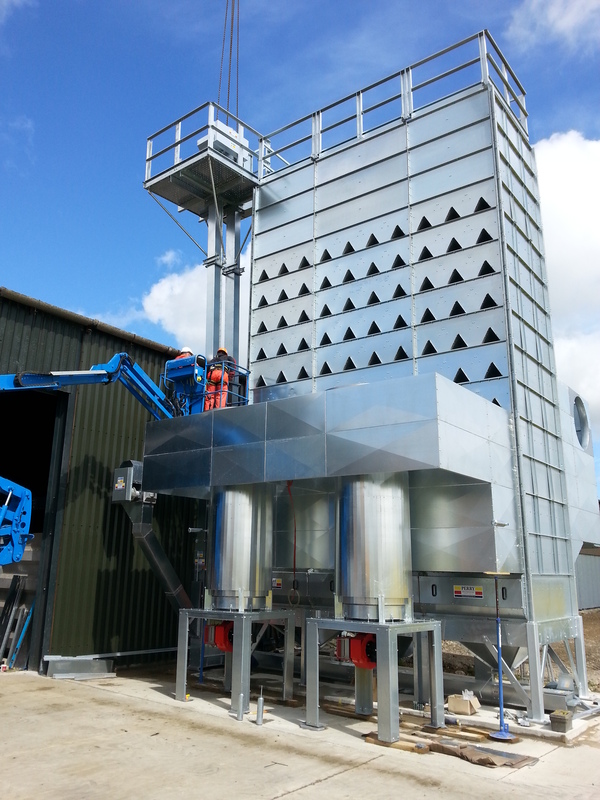 Bennett & Co work with a number of specially selected subcontractors to produce high quality outcomes using market leading suppliers of steel frame buildings, silos, continuous flow grain driers, bulk handling equipment, grain cleaning and processing equipment, fans, modulating burners, grain stirrers, timber tunnels and drying floors and state of the art control and monitoring equipment.